I think for software development, Wrike isn't the best tool... I would almost always choose JIRA. I feel like JIRA fails for most other use cases though. I've used quite a few tools - Basecamp, Trello on the lite end (too feature starved for what we need it for), JIRA on the heavy end. Asana and Wrike were the best fit, but I really didn't like Asana's limited interface, and their collaboration abilities were not up to par with Wrike. 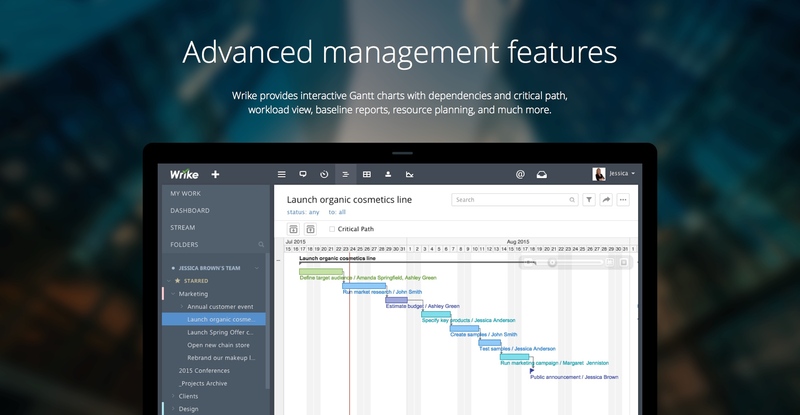 I also feel like Wrike will scale with our organization, and Asana is something we'd likely outgrow. At a previous org, I customized JIRA pretty hard for more project management oriented tasks, and it worked really well, it just took a LOT out of the gate to get it going, and was super difficult for some of our users to get a handle on. Customized dashboards - I like being able to organize tasks the way I want. So for example, I have a widget for things to do today/tomorrow, plus one for overdue tasks to bring them to my attention quickly, and backlogged projects. What's great about it is that I can make my dashboard just the way I want it, which is bound to be different from what works best for a coworker. Notifications are useful - I mostly just use it to tag other people when they need to be updated, but other team members also use automated notifications to tell them when steps that need to be done by other people, before they can start their task, finally get done. For example, designers don't have to constantly check in to see if a copy has been written and approved yet - the system will notify them when it's ready for them. Very user-friendly interface. I know it's not the most important thing, but it really does help when the software you use just works and looks nice and modern. 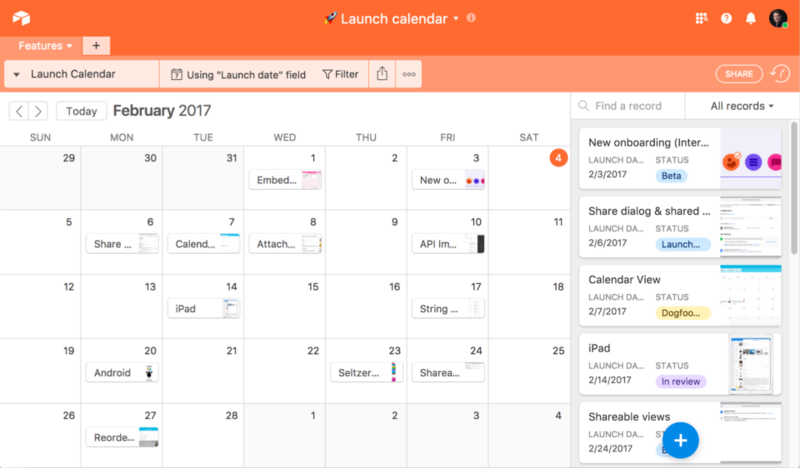 The calendar view is a really nice addition and helps me plan ahead for busy times. Minor - assigning a default user. Each time I add a task now I have to assign a user. With me as the primary user, I would love to be able to set myself as a default. I've read some discussion on this and it can be done if you add the task under "My Work." When I'm adding multiple tasks, that extra step seems counterproductive. Wrike will bring your team significant improvement. Because i am comfortable in using this product. Over two years of (almost) daily usage without outages. Don't remember any errors. I give it 9 only because some Wrike plugins (for online document edit) are based on NPAPI architecture. These types of plugins are being phased out in new browsers, and NPAPI plugins are disabled by default in recent versions of Chrome so you have to do some browser adjustments when you switch browsers or move to another computer. Their support was done mainly through email and depending on their work lord, could take longer to get a response. But the response was still within a reasonable time frame and courteous every time. Wrike does a great job of provide a breadth of videos for learning their program. This includes a 'getting started' sett of videos along with a collection of more in depth videos to assist more experienced users. Combined with their excellent chat support learning wrike is easy and it includes easy access to best practices. Stick with it and resist the temptation to slack in your use of project management software. I looked at Trello and Basecamp, which are great for collaborating with a team – especially those with remote team members. It seemed like the main goal of those is interactivity and though I needed it for my team, I needed something that could keep me on task as well. I needed more scheduling, task management and the ability to view users and projects in different ways. I've picked up MS Project multiple times over the years but always found it to be way too robust for my needs. I don't like overly complicated interfaces and products that introduce features that are more confusing than useful to me. Wrike balances simplicity with available features and functionality to take it full-out enterprise level. It's kind of like having extra horsepower in your car's engine... may not need all that power but I like knowing it's there if I need it. We've been able to get custom marketing content in the hands of the sales team faster. Sales has been able to better collaborate with marketing regarding the needs of the pieces they are requesting better. We've been able to utilize it for other marketing projects not necessarily related to sales as well. Every premium plan begins with a 15-day trial period to make sure Wrike is right for you.